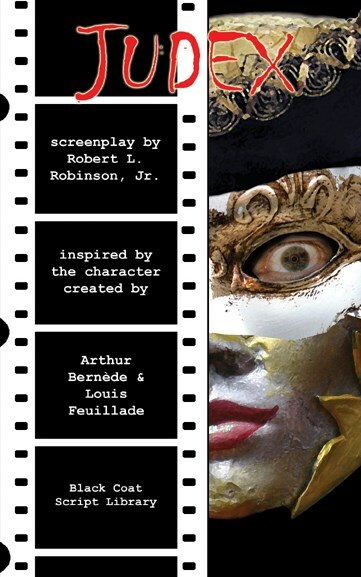 JUDEX by Robert L. Robinson, Jr. inspired by a character created by Arthur Bernède & Louis Feuillade - cover by John Pinkerton. US$20.95/GBP 12.99 - 5x8 tpb, 232 p. - ISBN-10: 978-1-61227-121-7. A modern-day reimagining of the classic French pre-WWI hero Judex which inspired The Shadow and Batman.